Thanks! I keep adding! Theres so many cars that help would be nice! Thnx bro! If ya have some fouc car pics plz add 'em! Can you not add any shots from the replays? They usually look better in shots. Star Wars Fanatic wrote Welcome! Vids of cars? Maybe I could add some... But first I'm trying to get the pics. No no, I mean image captures from the game's replays so the shots represent the gameplay. Finally this is on IGCD! A good arcade driving game, but nothing spectacular, but the stunt mood is cool! Star Wars Fanatic wrote No no, I mean image captures from the game's replays so the shots represent the gameplay. stryder237 wrote Finally this is on IGCD! A good arcade driving game, but nothing spectacular, but the stunt mood is cool! Yep! I love this game so I put it here! I didn't really understand the point of this game. It was just Flatout 2 with better graphics on 360 which was later ported to PC. The port was so lazy to the point it still had the Xbox controller icons for everything. Thanks alot for the add ACE. Still my favourite Flatout to date. XThUnDeRX wrote Thanks alot for the add ACE. Still my favourite Flatout to date. Star Wars Fanatic wrote I didn't really understand the point of this game. It was just Flatout 2 with better graphics on 360 which was later ported to PC. The port was so lazy to the point it still had the Xbox controller icons for everything. I did wish that it was more of a different game myself. 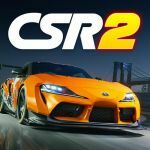 What lifted my spirits however was the new Carnage Mode, Powerups in Derby events (though you could still do derbies without them ) , Graphics that looked quite well for a game of this kind, the soundtrack which I HUGELY prefer over Flatout 2, and the few new extra cars were quite good. I also liked how some of those annoying scrapes and such were removed in the Race Class cars. Yeah I don't really see it as a true sequel, more a refinement. It's a shame we won't see a proper follow-up to Flatout 2 since they're busy working on Ridge Racer Unbounded, though that to me seems more like a Flatout game anyway. Funny enough, I never knew it`s released title till now. The in-game shots are much better! Will you be replacing the original shots with in-game too? Star Wars Fanatic wrote The in-game shots are much better! Will you be replacing the original shots with in-game too? 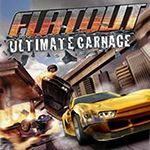 Which cars are new to Flatout Ultimate Carnage? Star Wars Fanatic wrote Yes that's correct. I will continue with these pics. My next photos will be from in-game, but i'll keep those garage pics. Star Wars Fanatic wrote Which cars are new to Flatout Ultimate Carnage? At least 'Grinder' and 'Bonecraker'. I only remember Derby class. Welcome ACE to IGCD ! im sorry for retard ! Are my pics clear/enough big? Awnser so I know! Yes good job, and nice first submission. 108092 wrote Welcome ACE to IGCD ! im sorry for retard ! Since Bugbear's apparently too busy messing with Ridge Racer Unbounded, guess who've handled Flatout 3? Wait, since 'they' did Flatout Wii too, who knows? As you may notice, i like the Derby class most! Added Mack Superliner...and i'm trying to add a piece of construction equipment, but no, GODDAMN INTERNAL SERVER ERROR. And with additional three new characters, making the race more intense and devastating compared to 8 racers in Flatout 2. Thanks. It just made me think about Motorstorm: Apocalypse mixed with Flatout. Here's the teaser for Bugbear's next game......it looks INSANE. Looks good, but not really all that different to Ultimate Carnage on first glance. The series definitely needs redeeming after Flatout 3, though! it looks like next Flatout series? 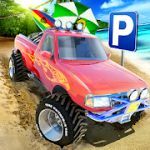 Don't forget Strategy First now owns the license to FlatOut after the release of FlatOut 3, so BugBear's new game won't be called FlatOut even if it bears a strong resemblance to it, sadly. This game's saving does not work. When you install GFWL, all it will show is "What's New". GFWL doesn't exist anymore, so it just saves without asking me to login. Speedevil wrote GFWL doesn't exist anymore, so it just saves without asking me to log in. I fixed the problem by uninstalling GFWL and reinstalling the game. How do I look around the car? You can do that in FlatOut 2, but in FlatOut: Ultimate Carnage, there are no known buttons. I don't want to slowly wait for the car to show off its rear.